After volunteering for UYC for 5 years, James came on staff to work in South East San Diego in January of 2013. 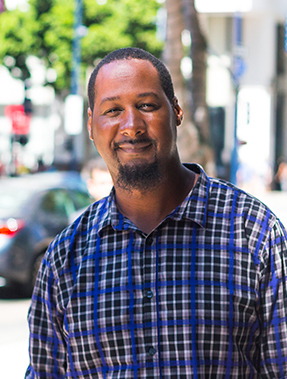 He is a part-time student at Southern California Seminary, majoring in Biblical Studies and has a huge heart for the youth of the inner-city. James is 31 years old and has been married to his wife Danielle for 7 years. They have been blessed with two wonderful boys, J’sean and Jyair. His family attends City of Hope International Church.